The world is as we see it. And how do we see? Well, we see an object when it reflects light. Our perception of an object changes with changing conditions and surroundings. Various parameters like amount of light, distance from the object, the color of light, time etc. play a crucial role in determining the final image of an object in our brain. With science and technological advancements, capturing images has come a long way. From simple light exposed 2D images to high definition and 6D images, the world as we see through lenses has changed dramatically. 3D scan now uses the latest technology called Point Cloud to render his quality images. Read on to know more about this intriguing technology and its working. What is the Point Cloud? To understand Point Cloud, let us first break the term into two: Point and Cloud. A point refers to an element of some set called space, for example in an image, a point can be defined as a pixel, in a 2D plane, it is expressed as any point on the number line (x,y) etc. A cloud as we know is a 3D mass which can be made up of droplets, crystals, water or various chemicals. 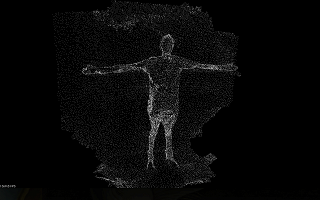 A point cloud is a large collection of individual data points on the surface. When a scanner scans a picture or area or any object, it basically captures the picture in the form of a very large number of small data points. Imagine a painting made up of small dots only. No strokes, no lines, nothing. Each and every part of the image is actually a point. Each dot or point is the size of the tip of the brush. That is how a point cloud image would look like. Scanners — Terrestrial or aerial scanners. Photogrammetry — Taking pictures and turning it into a 3D model or point cloud. Let’s talk about Scanners, especially 3D scanners in this blog. What does a 3D scanner do and how? 3D Laser Scanning is a technique that digitally captures the shape of physical objects using a line of laser light. 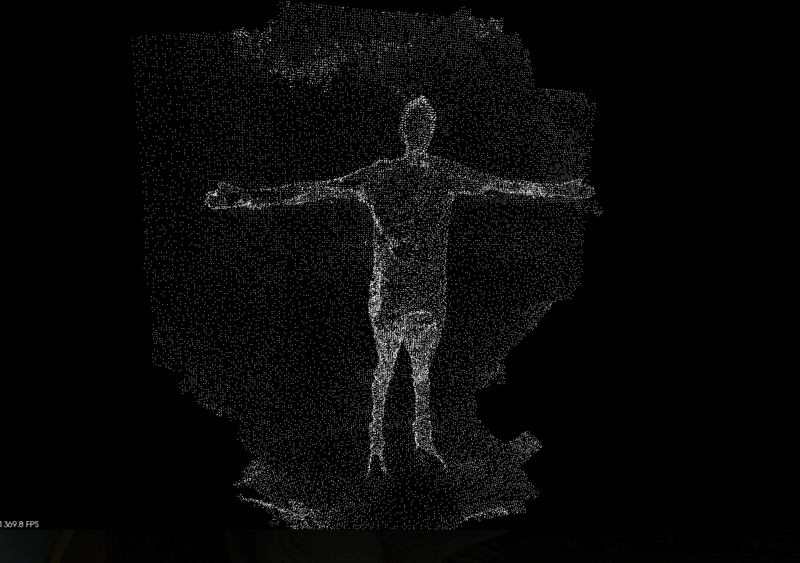 The 3D scanner captures an object’s image in form of Point Cloud. It creates “point clouds” of data from the surface of an object. This point cloud data is then used by various software to regenerate the image that was captured. When a 3D scanner scans an object, it basically combines two kinds of information to make the point cloud of the object’s surface structure. Data from another sensor like a moving camera or two stationary cameras. So the point cloud being captured is an accurate, as-it-is built image of an object or even space. It is now saved in form of a huge number of points that are spread over the entire surface of the object. The 3D scanning equipment collects this large number of points from the object’s surface and records their location in space (X, Y, Z). The software that regenerates the image combine these two data sets along with the distance between the camera’s position and the light source of a laser scanner. Are ideally suited to measure and inspect contoured surfaces and complex geometries. The post-processing requires a lot of stitching and combining of images or point cloud data to restructure the original image that was captured. The software for this purpose feed on the point cloud(s) of the object and then stitch them together to form an understandable and visualized 3D image. The output from the 3D scanners is used as the input for the software applications to obtain human interpretable value from the point cloud. Point Cloud rendering software generates human-readable visuals, interpretation, and analysis of the point cloud. They may include features for measurement (like distance calculation between points) or enhancements (like bridging the gaps between two points to create a 3D solid model). They may also include point cloud management in order to combine multiple point clouds and generate a better picture. Design support plug-in software import the point cloud into a CAD design application. The point cloud is then compared with the CAD objects to identify interferences or gaps. These are essentially used in industrial applications, for the planning and execution of plant upgrades, or modifications. To make changes to an existing facility, the “as-built” data from a laser scan ensures accurate representation of the real-world environment. This article has given you a fair amount of idea about point cloud and its processing. You must have realized how important it is to have a good software that helps you analyze the data collected. Also, the implementations are many. ProtoTech Solutions has designed one such unique post-processing software using the point cloud principle. Accepts 3D scan in .obj/.stl formats. Easy manipulation of measurement planes. Calculative measurements are easy to deduce. Demo videos and well-written help document make it easy to understand and operate. Create a better virtual shopping experience. Design and develop apparel for special needs. To know more about 3D Measure Up V (2.0.0.0) you can get your hands on its trial version. The software is available as a .exe for Windows. For more details, contact ProtoTech Solutions.